A general view of atmosphere seen at The World Premiere of Warner Bros. Pictures "Wonder Woman" at The Pantages Theatre, May 25, 2017, in Los Angeles Inset: Patty Jenkins, director of "Wonder Woman," strikes a pose at the 45th AFI Life Achievement Award Tribute to Diane Keaton, at Dolby Theatre, June 8, 2017, in Los Angeles. Patty Jenkins has officially signed on to direct the sequel to "Wonder Woman." A Warner Bros. representative confirmed Jenkins' return on Monday after Variety first reported the news. 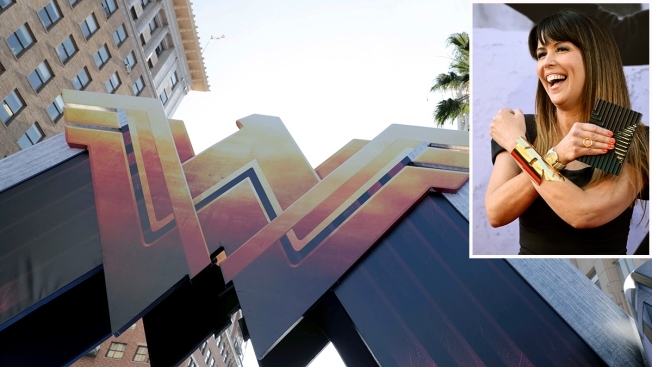 Jenkins was widely expected to return for the sequel after "Wonder Woman" became both a critical success and a global hit at the box office earning over $816 million worldwide this summer. Negotiations took months to finalize a deal for Jenkins' return. The Hollywood Reporter writes that her deal, which is reported to be in the $7 to $9 million range, makes Jenkins the highest-paid female filmmaker in history. The studio declined comment on Jenkins' pay. Star Gal Gadot will also reprise her role as the Amazonian warrior in the sequel, which is scheduled to hit theaters in Dec. 2019.